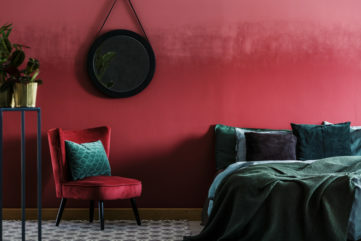 In 2018 we talked of the appearance of pastel colours garnishing the home, but throughout 2019 we can expect to see more block, bold colours adorning your home. 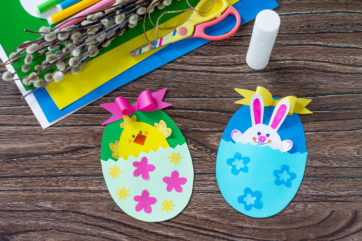 Drawings with one distinct straight or curved line on a plain minimalist background are on trend this year. Framed in a simple, beautiful frame, on a plain wall, there’s no need for complications. It can really speak for itself and make a room stand out – for all the right reasons. Last year there was a rise in indoor plants, search trends alone suggest the increase in interest in them. It’s not set to see a decline yet either. In any corner of the room a house plant can bring vibrancy, life, and have great health benefits too! Houseplants are known for their health benefits and have the ability to uplift one’s mood in both living and work-spaces. It makes for a great ornamental piece as well. Style it next to some books, an ornament, or even on its own shelving unit with other plants. 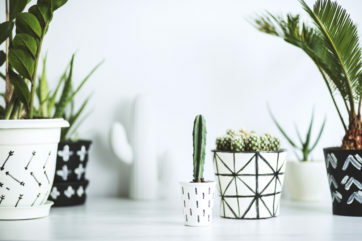 You can even pair your plant with a cute plant pot to suit the style of the room. Going bold? Try mustard or a deep green. Into patterns and shapes? Go geometric. There are so many cool ways to bring nature into a room. Real-life house plants will look great alongside a nature print or photograph hung in the centre of one of the walls. 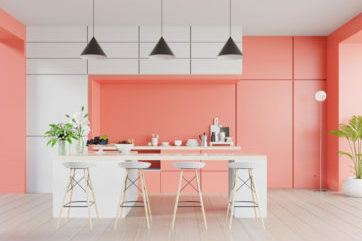 Coral has been crowned colour of the year for 2019, there’s plenty of reasons to include it in your 2019 interior plans. From fabrics to wall colours and coverings, framed prints, soft furnishings and furniture, there’s a ton of fun you can have with this colour. You can bring it in as an accent colour to a room to highlight the wood tones of your furniture. Pick a wallpaper pattern or shade which picks out the tone of the colour around the room. Lighter decór with copious amounts of light beaming through the room is one of 2019’s biggest trends. Of course, you may not be blessed with natural light, but you can make the most of this light by incorporating lighter paints and prints into your design. When choosing art, you could pick white or cream frames, with neutral mounting to match the wall colour of the room. Contrasting shapes, lines and patterns in a room may seem like too much busy for one space but it can actually work really well. Using mix and match patterns allows you to interchange soft and wall furnishings for different styles, rather than being governed by one set colour scheme for the entire room. This can save you time and money as you will be able to swap cushions, rugs, duvet sets, and curtains easily. Sometimes it’s really difficult when you have a room decorated all in one colour, and you have to source bedding in the same colour, as well as prints and photographs. 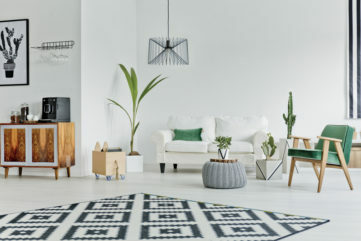 Whilst making the most of organic botanicals and bringing nature into your home, one trend gripping 2019 is stripping back to basics using natural wood furniture. 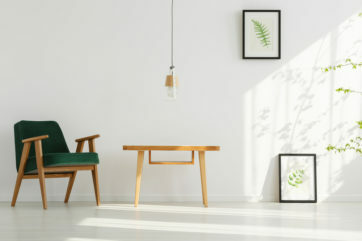 Natural wood, of course, is not a new concept by any means, but by bringing these kinds of finishes into your room not only will it create a wider sense of light in the room, but it’s also more sustainable as these pieces are often recycled, reclaimed and/or reused. Sourced smartly, they can generally be picked up for a song.